There's a crackle of electricity when two young fighters from two warring boxing dynasties meet in Rob Ward's two-hander from About Hope theatre company. Dane is struggling to find his killer instinct and thereby live up to the legendary glories of his father. 'Gorgeous' George, on the other hand, is a bare-knuckle fighter from a traveller family, tempted to the ring to legitimise his unrestrained talent. 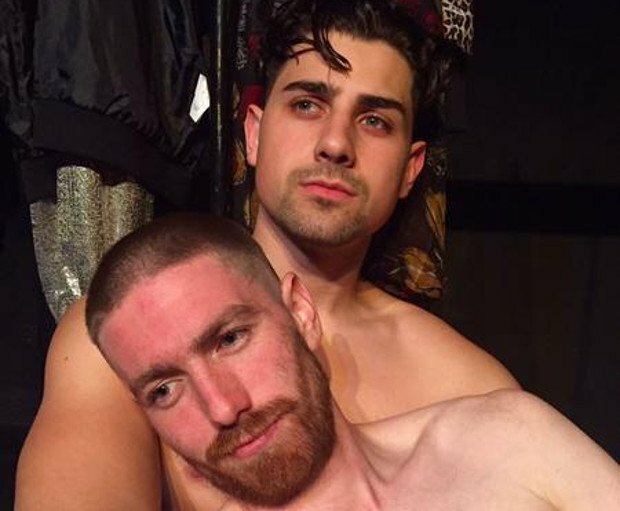 That electricity, though, comes not only from their bristling, competitive masculinity, but also from their immediate attraction for each other, and Gypsy Queen charts – quite tenderly at times – the two men's unlikely fledgling relationship, as well as painting in a rich cast of memorable supporting characters, all ably played by writer Ward and Ryan Clayton. Director Adam Zane keeps things moving briskly and smoothly, and he has a sure command of mood, from the comic to the sensual to the downright brutal. It might feel like one or two characters or plotlines could have been trimmed to focus Gypsy Queen's themes even more tightly, and the shock ending comes rather unconvincingly out of nowhere to ensure that heartstrings are tugged. But this is a slick, rewarding piece of work nonetheless, and one that offers fresh and surprising perspectives on gay experience. Assembly Rooms, until 26 Aug (not 14, 21), 1pm, £9–£10 (£8–£9).